AVAILABLE NOW, FREE ON KINDLE UNLIMITED! One year after The Company of Clan Munro was defeated, things in the UK Coven are settling down, and also beginning to be shaken up. Her younger half-brother, Nick Smith, is moving to London with three friends ... including Roger Ainsley, the son of the former leader of the Dark. When a mysterious stranger appears back from the dead, his words of warning of another Dark Clan rising might change Nick and Harley's lives forever. 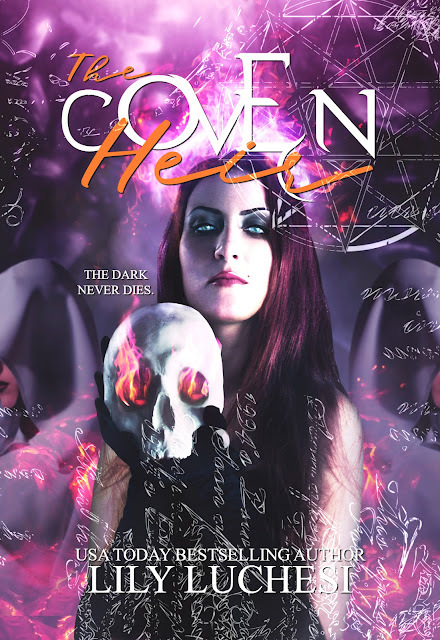 There's a deathwitch in the Coven, and she has her sights set on the Princess. 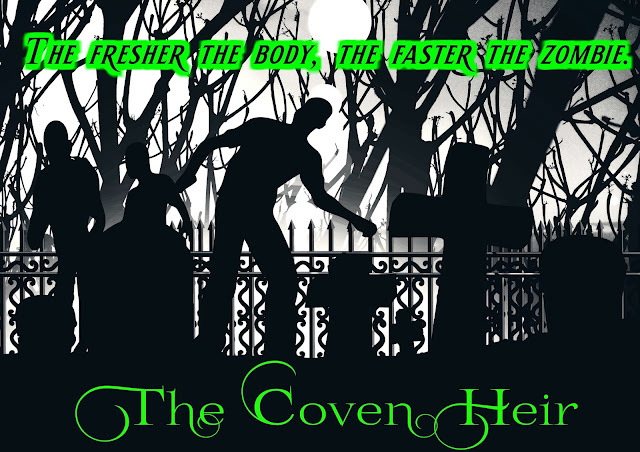 Lily Luchesi's "The Coven Heir" is the second tale in the new Coven series. A second great YA read for this series. The ensemble cast of characters are well thought out and deeply developed. A magical community like Harry Potter. Would make a great TV series. I can't wait to read the next one! They began to walk through the darkened cemetery, and he noticed how perfectly in place Harley looked with her long black cloak with batwing sleeves. She was the perfect picture of a storybook witch. “That name sounds familiar,” Nick said, looking at the grave. The years listed said this guy was born the same year as his parents and had died during the battle that had killed them both as well. Harley bent down and removed ampoules from her pocket. Nick had no idea where she kept those things while wearing such a tight dress and blazer under her cloak. She used a broken branch she found to scrape up some of the dirt and put it in one ampoule. She stepped back, held out her hand, and Nick saw green energy forming in the centre of her palm. Her father’s bloodline, Clan Munro, were energy manipulators which meant that she could attack people with her life force alone. Nick didn't respond, as he turned towards the nearby bushes and saw those eerie yellow eyes … staring right at him. Harley couldn’t believe that Caelum Lynx was alive again. Who the Hell would want to raise him from the dead? He was rotten, but not in a supervillain way. He was a bully, cruel and malicious. Let’s figure out what’s going on and get him right back in his grave where he belongs, she thought as she gathered the materials. When she stood up and spoke to her brother, he didn't respond. He was staring straight ahead, eyes frozen in fear. She turned and saw why. Deep in the bushes, glowing eyes stared at them both. The bushes moved, and out popped a sleek, large cat with black markings and tufts of black hair on its ears. Harley didn't know what it was, but she sensed magic. The cat bounded closer, suddenly just a few yards away instead of metres and her nerves were singing. It wasn’t something that should’ve been loose in London. Perhaps it escaped the zoo? Still, she’d never dealt with anything like this. They should run, but it could easily overtake them and kill them. Best to stand still and see if it went away. If not, she’d try some spells on it. However, her brother was in no rational position whatsoever. Fear had taken him prisoner. “For crying out loud, Nick, get behind me!” she snapped, yanking him behind her. He was smaller than she was, so she shielded him fairly completely. She wasn’t a self-sacrificing person, but she had a natural instinct to protect someone currently incapable of protecting themselves. It was a bit of a problem, actually. The large cat bounded even closer, hissing but not slobbering or foaming at the mouth. Harley was pretty sure it wasn’t rabid, but it was angry … and hungry. Its thick, golden fur was matted, torn away in some places, and it looked far too skinny. “If it comes at us, run and get a head start,” she told Nick, who nodded weakly. Slowly, she removed her right hand from the pocket of her cloak. 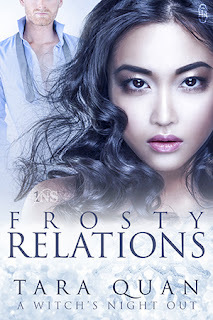 Holding her fist firmly at her side, she maintained eye contact with the beast. It was so close she could smell it: the thing needed to be bathed badly. It looked almost as if it hated her. She knew that was madness, but it was true nonetheless as she looked in its glowing eyes. Suddenly, it yowled and ran around them in a semicircle, going for Nick. For some unknown reason, it wanted him. Harley tossed her brother behind her again, holding her hand out. “Stupefaciunt!” she cast, but the beast dodged it, now heading for her. In the moment, staring into its snarling mouth and hate-filled eyes, she couldn’t recall the shielding spell to keep it off of her. The cat knocked into her, almost as tall as she was when it was on its hind legs, and she struggled with it, keeping its fangs away from her neck. Claws dug deeply into her left arm and she screamed in pain, somehow tossing the thing from her. Adrenaline rushed through her system as self-preservation kicked in. It began to bound away, and she cast spells after it. One edge of her energy caught it on the tail, and she took pleasure in its pained yowls, as she tried to control her own pain. She was breathing hard, and her heart was beating out of control. Read book one today, FREE on Kindle Unlimited! 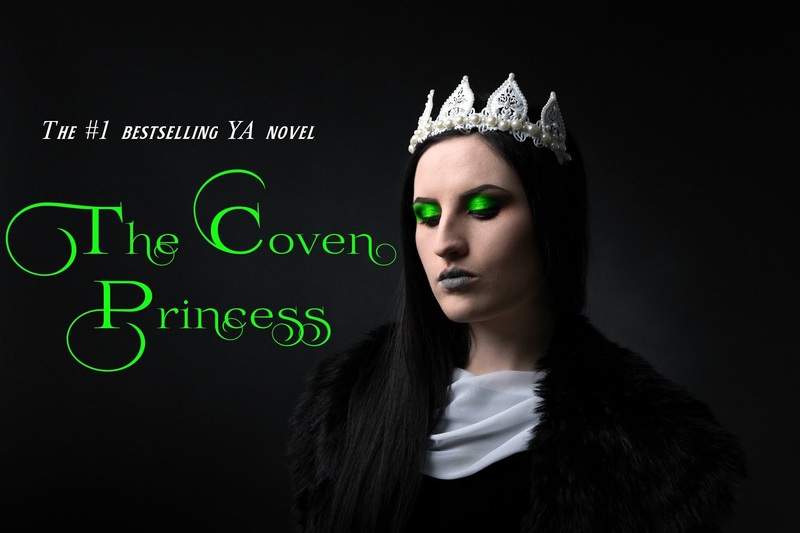 Lily Luchesi's "The Coven Princess" is the first tale in the new Coven series. This is a great YA read. First thing I've read in a while that had a Harry Potteresque vibe. The characters are amazing and really well developed. I was swept right into this magical community. I can't wait to read #2!